Many churches on the foreign field are limited in their ministry by not having an adequate meeting place; for others, the cost of renting prevents them from obtaining the necessary capital to purchase their own land and begin construction. HeartCry seeks to assist such churches by providing the funds necessary for the purchase of property and/or the building of a permanent structure that would be sufficient for meetings. Land purchases and construction costs usually range from $1,000 in remote rural areas to much more in highly populated, urban areas. This is not a common or frequent ministry for HeartCry, because we prefer to use funds for supporting missionaries and establishing churches. However, when the need is evident and when the church in need is giving sacrificially, we have assisted and will continue to do so according to what we believe to be the will of God. 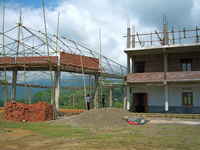 Chapel construction begins in southern India. 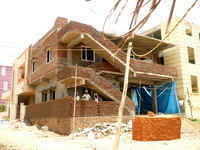 The structure and brick work are almost completed. The chapel is completed and put to good use. 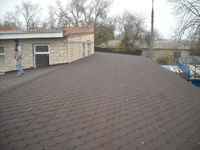 Roof on the new chapel in Moldova where HeartCry partner Igor Seremet pastors. Foundations are laid for chapel construction in Nizhnevartovsk, Siberia. HeartCry partner Vladimir R. (on left) works alongside fellow church member. 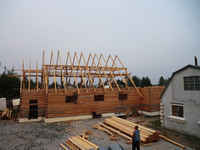 Progress on the new chapel in Nizhnevartovsk. The finished chapel for the Pastor Vladimir and the church in Nizhnevartovsk. 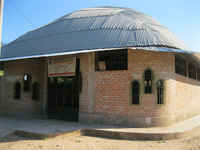 Chapel construction in San Rafael, Peru where Arturo Marin serves as pastor. Finished chapel construction in San Rafael, Peru. Finished chapel construction in Paita, Peru. Building purchased for the Church of the Savior in Barranco-Lima, Peru. HeartCry helped to build this chapel in San Pablo, Peru (once a leper colony)..